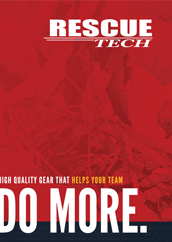 RescueTECH offers equipment designed to manage disaster situations. Products include, disaster triage, incident command, stretchers, and cots. Manufactures include RescueTECH, Reeves EMS, Conterra, and Junkin Safety to provide reliable safety equipment. Ideal for communication and ICS identification.